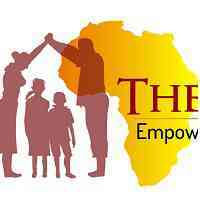 The Small Things is a dynamic community-based organisation operating at the grass roots level in the Meru District of Tanzania. Our actions are predicated on the belief that the best way to help a child, is to support the community in which they live and to this effect, we offer a variety of family preservation and reunification services aimed to empower and strengthen families, so that they can reclaim their children from residential care. We are currently seeking a Sponsorship and Communications Coordinator to manage our sponsorship program here in Nkoaranga and effectively share our story to a wide range of individuals– including international sponsors, donors and prospective funders. The ideal candidate will possess experience building relationships with various stakeholders both digitally and in person. You will have the opportunity to strengthen the existing program and its framework, manage our social media channels, and creatively increase our overall digital presence through various platforms. Plan and execute all marketing materials and public relations with development team. Prepare content and produce all communications including the monthly children’s village letter, quarterly newsletter, press releases, blogs content and all other marketing materials. 2 years of communications/marketing, HR, or management experience, especially for nonprofits. Ability to work independently, take direction from others, prioritize tasks, and meet deadlines.